This is the rear seat repeater for the LX9000 unit. 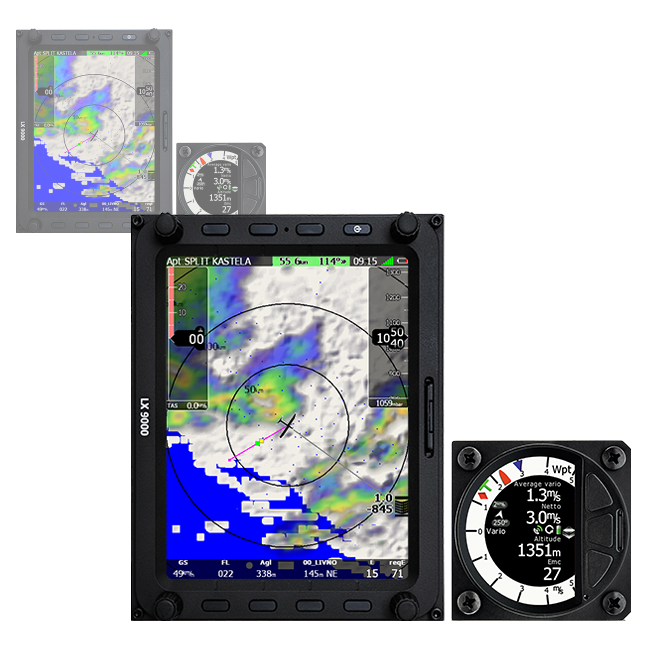 The LX8080 is a high end vario navigation system with extremely bright colour display. Fits to standard 80mm hole for the main unit and 57mm hole for the V9 vario. Simple and logical user interface is designed for top-level competitors, club operation as well as for gliding beginners. 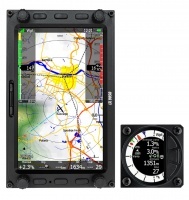 The Instrument is preloaded with worldwide terrain maps, airspace and airports databases. User friendly data exchange is done using SD Card or USB interface. 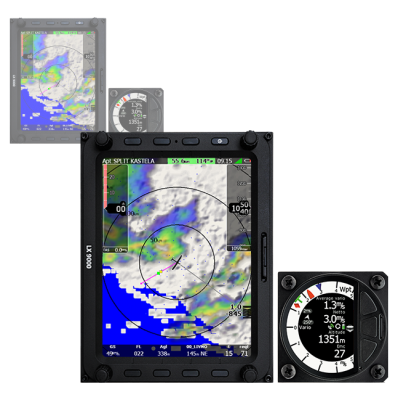 LX8080 has an integrated FLARM collision avoidance system and flight recorder meeting IGC specification for all flights. 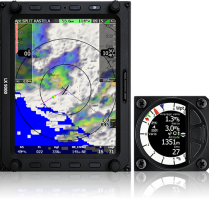 LX8080 copes with complex tasks such as assigned area. 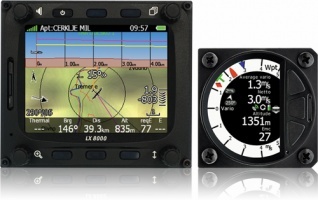 During flight, optimisation is possible to FAI and OLC rules are displayed. The LX8080 uses exactly the same software as the LX8000 and LX9000. Basically it’s just a slightly smaller version of the LX8000 that fits in a standard 80mm and 57mm panel holes. 6 push buttons and 4 rotary switches are used for input which compromise well known LX user interface. Low power consumption - 280mA at 50% brightness including V5/V9 vario.